Fremont, Calif.-based Rackable Systems, Inc. is catering to cloud computing environments with a new server rack designed specifically for cloud environments called Systems CloudRack, the company announced October 30. This new product from Rackable is one of many that we are seeing from vendors who are trying to design new equipment or re-purpose existing equipment for cloud computing environments, which are characterized by a large number of server nodes in scalable data centers providing SaaS (Software-as-a-Service) to users. According to Saeed Atashie, director of server products at Rackable, CloudRack was created with the density and power efficiency cloud environments demand. CloudRack is 44U cabinet that supports up to 88 servers, 176 processors from either AMD or Intel, 704 cores, 352 TBs of storage and up to 8x 3.5” drives/board (4 drives/CPU). It is designed to be power efficient, and easy to service, according to Rackable. Rackable also announced servers for HPC and cloud environments back in June, the XE2208, with twice the density of existing Rackable Systems servers. Rackable is focusing products on the cloud computing market because it is “the latest industry mega-trend,” Atashie said. Other companies focusing products on the cloud include IBM, VMware, HP and Intel. Atashie said Rackable already has customers lined up for the CloudRack, but would not disclose any names. In general, CloudRack will appeal to companies using cloud computing or those using high performance computing, the company reported. 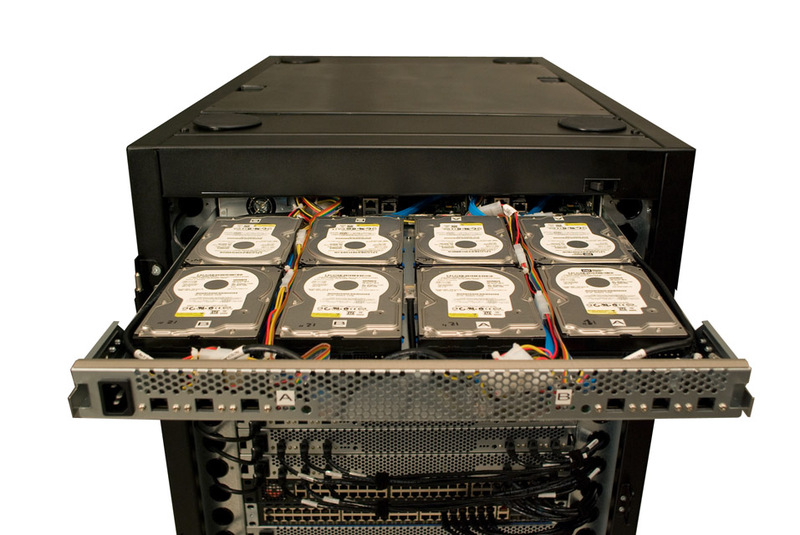 The Rackable Systems CloudRack CR1000 model can be built to order. More information about specific configurations, pricing or Rackable Systems’ build-to-order model is available on Rackable Systems’ website.